Good Hope (population 415) is located in north-central McDonough County on U.S. Route 67 about six miles north of Macomb. Illinois Route 9 passes just south of town. The Toledo, Peoria, and Western Railroad passes through town also. More information on the history of the town would be welcome. Good Hope residents have supported a school in their town for many years. It is believed a school system was begun in Good Hope in the late 1800s, possibly early 1900s. The most recent mention of the Good Hope school district is on the IHSA web site www.ihsa.org. 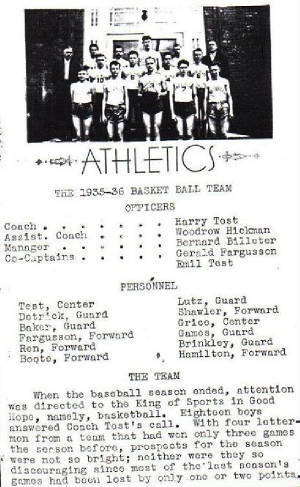 The boys basketball team of 1949 won a District championship. It is thought the Good Hope High School joined a consolidation effort of several small towns including its neighbors to the west, Sciota and Blandinsville in 1959. 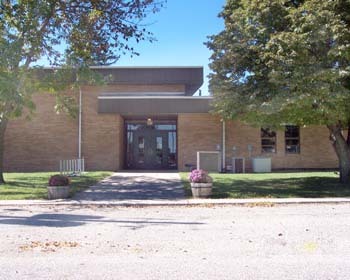 The consolidated school district was known as the Northwestern School District with the high school located in Sciota. 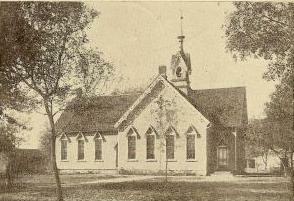 Good Hope school remained open as host to the Northwestern School District Grade School. The Northwestern School District recently (2003) consolidated with Colchester to form the West Prairie School District. Sciota remained home of the high school and Good Hope now hosts a Middle School for the West Prairie School District. 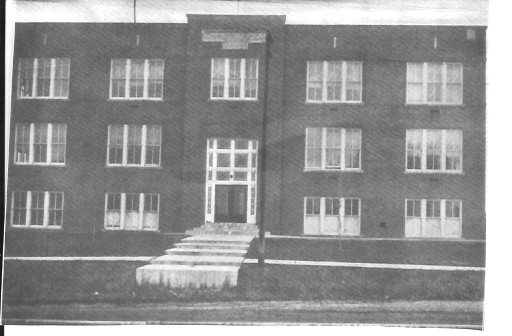 It is not known if the building pictured above (the current Good Hope Grade School) is of the original high school or if it is a building built specifically for the Northwestern School District. If you have more information to share regarding the old Good Hope High School system please e-mail us. Good Hope High School had success on two fronts in IHSA competition. Boys basketball won three District titles while the Drama Team won their District and advanced to the Illinois State compeition. We are confident there were many more successful seasons and accomplishments aquired at Good Hope High School. Baseball and track were almost certainly offered at the school. If you have any information on the Good Hope High School "Glory Years" please contact us at eganann@sbcglobal.net . Can you say "back to back to back"? The Good Hope boys basketball team can and did. The three District titles won by the school were won in three consecutive seasons from 1947 - 49. There is usually a "great player" or "great coach" story involved in that type of streak. Team records and coaches names of these and other great teams in Good Hope's historic past are not available. *Also in 1948 the Good Hope boys basketball team nearly won the prestigious Macomb-Western Holiday basketball tournament, losing the championship game to Macomb Western High School 43 - 42. The English Department at Good Hope High School also deserves its own recognition. The Drama Team of 1944-45 won a District Title and advanced to the Illinois State Drama competition.